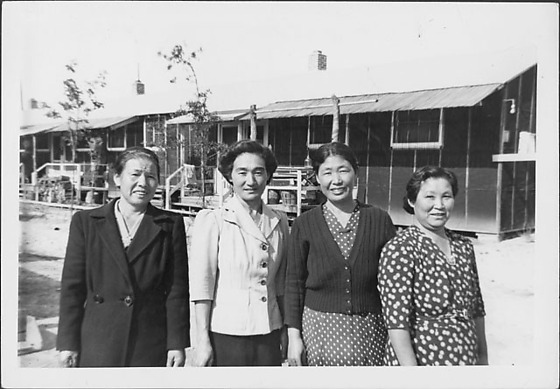 Half-portrait of four women standing in a row outdoors in front of barracks at Rohwer concentration camp, Rohwer, Arkansas, 1942-1945. Older woman on far L wears a buttoned dark coat next to woman in white top; two women on R wear polka dot dresses. Barracks with white trimmed porches and brick chimneys extends across background.